WELCOME! Come as you are. Yoga is beneficial for everyone, all ages, shapes and fitness levels. We have a variety of class styles that will meet you where you are and ignite your evolution. 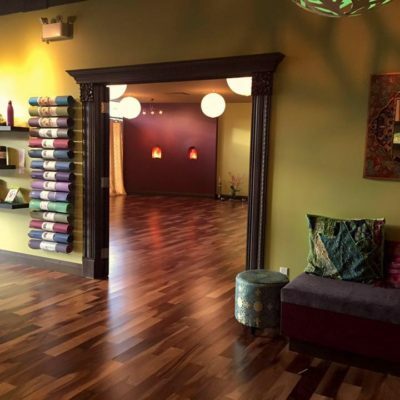 We’re committed to serving you a full menu of delicious yoga day after day, year after year with some of the city’s most holistic, authentic & experienced teachers… Join the Prana community and stay fit & relaxed while enjoying a variety of hot, warm & room temperature classes in our beautiful new 4,000 square foot location! New students are often anxious or worried they’ll feel out of place. Prana is a non-competitive and welcoming environment. You don’t need fancy clothes or a flexible body, just be authentically you! What would you do if you were unafraid? Discover the healing benefits of yoga and how that can transform your life, your relationships and the world around you. NO way! Start with an active flow style class. Dealing with an injury? No problem! Start with a therapeutic or beginner class. Tight muscles? Warm or Hot Yoga may be just the thing. New to Yoga? Get our New Student Special! Sample our vast array of inspiring yoga classes from basic beginner to dynamic flow classes in our warm, hot or standard temperature rooms. Discover how much you can change in 30 days, while feeling amazing after each and every yoga class. New Student Challenge: Complete 10 classes in 30 days and get your first month of membership half price! how to choose a class that’s right for you? Feel free to contact any one of our fabulous staff to help direct you into a class that’s suited for you. Our New Student Special gives you a chance to try lots of class styles and teachers. Some people start with a pre-registered beginner course to get the basics, others dive right in to more challenging flow classes. Some people need a therapeutic or relaxation based class to begin with. With 60 weekly classes, 2 gorgeous studio rooms, and a large staff of highly trained, passionate teachers, you are bound to find classes that you love! Make sure to try a variety of styles and teachers to find what resonates with you the most, and enjoy falling in love with yoga. Practicing yoga regularly cleanses the blood, tones and detoxifies the internal organs, improves strength, flexibility & focus, reduces stress, calms the mind and inspires the heart! benefits are felt immediately, at each class, and cummulate over time. Enrich your life with pro-active wellness… see you on your mat! the myth: Yoga is for flexible people… I’m too tight. the reality: It’s normal to feel stiff and have tight muscles. That means yoga is perfect for you, and if you stick with it, you’ll limber up and feel more flexible! the reality: Yoga is equally beneficial for men as it is for women. Men especially love hot yoga to develop flexibility and concentration. More and more men are discovering the benefits of increased sports performance, reduced stress, reduced injury, and lower back comfort from their yoga practice… most men are surprised by how challenging and invigorating yoga is! the reality: Because yoga is designed to deep-clean and detoxify the body from the inside out, all the organs function better and food cravings are curbed, blood-sugar swings are reduced, and hormonal balance is optimized. Deep breathing makes deep changes, and people are known to drop weight (and the old habits that make it stick) that no other excercise ever could. More importantly, yoga establishes a healthy, connected relationship with the body as is, which is the ground for lasting change. the myth: I already work out, I don’t have time for yoga too. the reality: While there are many fantastic ways to exercise and workout, there is nothing like yoga to balance strength with flexibility, to support joints, cleanse internal organs, regulate hormones, calm the mind, reduce stress, and create a more supple, healthy spine. the myth: Yoga is too slow and boring. 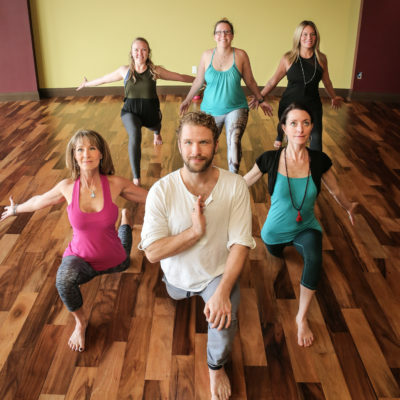 the reality: Gentle yoga classes are meant to be introspective and relaxing, however, most yoga classes are challenging and invigorating, and can raise the heart rate, tone muscles and make you sweat. You’ll work muscles you never even knew you had! Even a relaxation based class can be engaging and profound, make sure you find a teacher you resonate with! the reality: Yoga is a science and a system of techniques leading to improved health. Yoga is not a religion, though it can enhance a sense of connectedness for anyone of any faith. Yoga is designed to help you to become more aware and connected to your body and to your breath, instead of being lost in constant thinking. the reality: No worries, there are no pre-requisites to change your diet and habits before starting yoga, though you may naturally begin to gravitate toward a healthier lifestyle once you start, while still enjoying some evenings out. Yoga can be a great support in letting go of old habits without battling them! Current students please arrive 10-15 minutes before class and be on your mat at least 5 minutes before the class start time. Late comers are not permitted. Please leave valuables at home and store all coats and personal belongings in the changerooms. Personal belongings are not permitted in the yoga rooms. Please remove all footwear at front entrance and turn off or mute all cell phones upon entering. Cell phones are not permitted in the studios. There are shower facilities in each changeroom. Please bring a towel or rent one at reception. Hygiene is key, especially for hot classes. Please shower and wear clean clothing.